“Come one, come all, y’all!” as my good friend Paula Deen would say. Gathering around the dinner table for home-cooked family meals is one of the best things about our Southern lifestyle, and she shows us once again how to do it deliciously in her latest cookbook, At the Southern Table with Paula Deen, which will be available for early release starting September 1. You can go to our Hoffman Media Store and pre-order today. I can’t wait! One of my favorite mealtime memories is when Neal and I had dinner with Paula and Michael right in her kitchen. Originally, we invited them out to dinner, but she said she was happiest in her kitchen with family and friends. She glowed with delight as she put her freshly cooked food on the table, and we just went crazy tasting all the delicious dishes. Neal will never be the same! All the laughter, coupled with Paula’s scrumptious food, made for a glorious evening. I wish I had a pan of those biscuits right now! 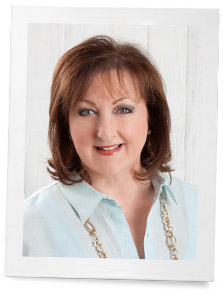 Paula has shared some of her very favorite dishes in this new cookbook, and I’m so excited! 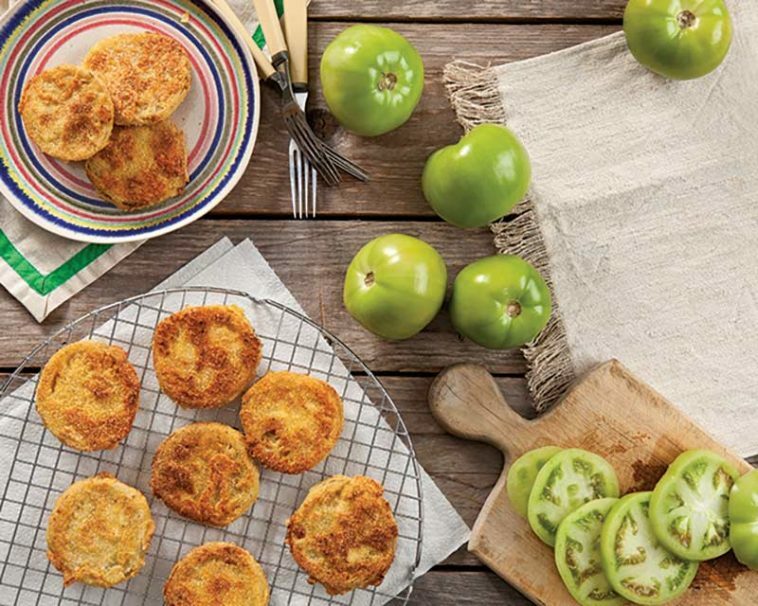 At the Southern Table with Paula Deen celebrates food and family, as well as authentic Southern hospitality. Plus, this recipe collection has something for everyone. And I do mean everyone. I’m telling you, it’ll be the cookbook you turn to for any occasion. Sunday suppers, picnic lunches, cozy weekend breakfasts, holiday gatherings, the list goes on. 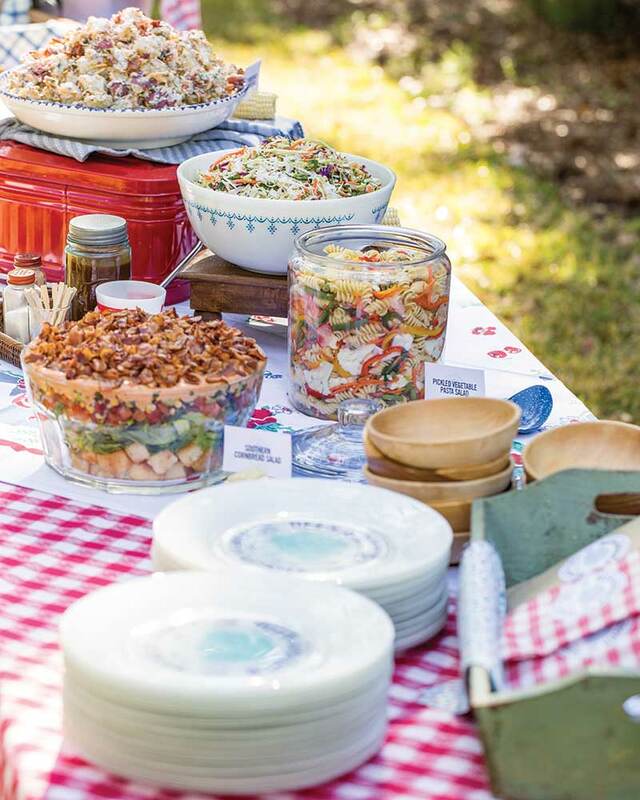 After all, what’s a get-together without good old-fashioned yet timeless Southern food. Here are some dishes included: Caramelized Onion Patty Melts, Peach-Stuffed Pork Loin, and Strawberry Lime Bars—because you can’t ever forget dessert. Never fret about what to bring to a potluck, either. Paula’s got you covered with casseroles, entrées, and appetizers galore. 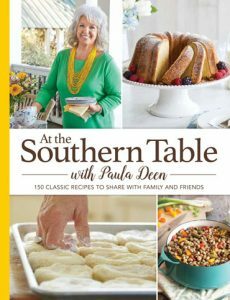 Featuring 150 recipes, including 30 all-new dishes, this cookbook welcomes you into Paula’s kitchen (who wouldn’t want to smell the Southern cooking aromas?) as she gives step-by-step instructions to re-create her favorite meals. You can mix and match recipes or use her ready-made menus for family reunions, soup suppers, and even basic meal plans for breakfast, lunch, and dinner. Man, I know I would’ve put this cookbook to use during all those years cooking meals for Brian and Eric and our family. For me, family is so important and sharing a meal has always meant coming together to spend quality time with each other. I hope you will enjoy these recipes and the time you’ll share devouring them with loved ones! There’s no such thing as a bad meal when it comes to Paula’s cookin’! Thank you a bunch for sharing this with all people you really realize what you are speaking about! Nothing better than southern cooking Paula Deen style! She did a cookbook signing in my hometown a few years ago and my signed copy is always displayed with deep affection in the kitchen. Of course I have them all and looking forward to next. The Lady and Sons is my favorite dinning event when I’m in Savannah/Tybee Island. I even got to meet Jamie and Bobby there when they popped in and surprised everyone. And yes, I do agree she is the Queen of Southern Cooking! I love Paula Deen’s recipes and must say that I love her book, Savannah Style too. Her new book looks wonderful! One of my goals is to make delishious biscuits. Perhaps this book will steer me in the right direction! I am thrilled that this cookbook will soon be available. I LOVE cookbooks and will no doubt enjoy this one. Thanks for sharing the good news.